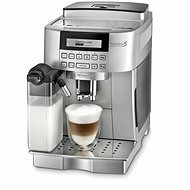 The High-quality DeLonghi ESAM 4200 Magnifica automatic espresso machine boasts 15 bar pump pressure and a new thermoblock system that maintains a constant and appropriate coffee temperature. The internal system through which the water passes is made of stainless steel. The device allows you to adjust the coffee strength and the amount of coffee to be used with precision. For devices of this category, a cappuccino nozzle with an adjustable steam flow is a matter of course. You will also welcome the silence of the built-in coffee grinder with 13 levels of coarseness. Of course, it is also possible to use pre-ground coffee. Other useful functions include a cup heater, a self-cleaning function and adjustable height for various cup sizes, Easy maintenance and handling is a given. with a steam jet, Cup heater, Adjusting coffee amount Done! 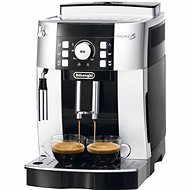 For shipping to other EU countries visit this page DeLonghi ESAM 4200 Magnifica. Für Versand nach Deutschland, besuchen Sie bitte De'Longhi ESAM 4200 Magnifica. Chcete doručit zboží do Česka? 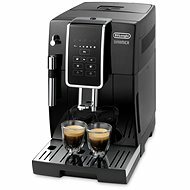 Prohlédněte si De'Longhi ESAM 4200 Magnifica. Chcete doručiť tovar na Slovensko? Prezrite si DéLonghi ESAM 4200 Magnifica. Magyarországra történő kiszállításért tekintse meg ezt a termékoldalt: DeLonghi ESAM 4200 Magnifica.